Le prix et la disponibilité du produit sont corrects en date du 2019-04-19 15:00:08 CEST et sont sujets à changements. Toute informaiton relative au prix ou à la disponibilité affichés pour http://www.amazon.fr/ au moment de la commande sera d'application lors de l'achat de ce produit. 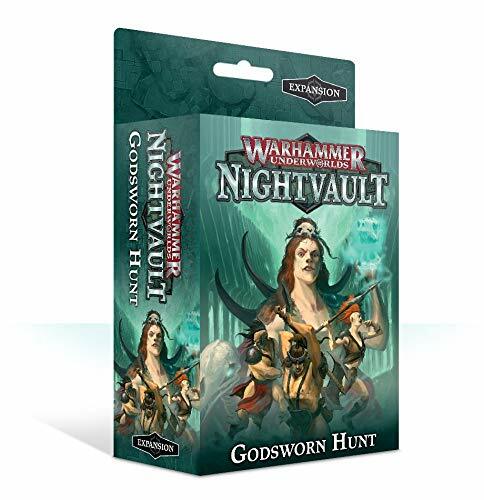 The Godsworn Hunt bring the ferocity, speed and ruthlessness of the Darkoath to the ultimate competitive miniatures game. 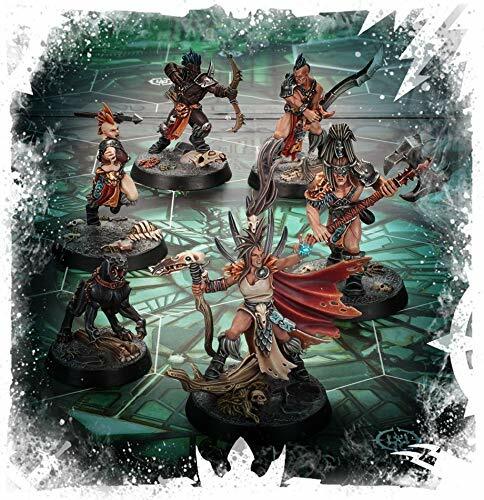 A flexible warband capable of playing aggressively or holding objectives, they're perfect if you're looking to win with cunning, speed and sheer brutality. 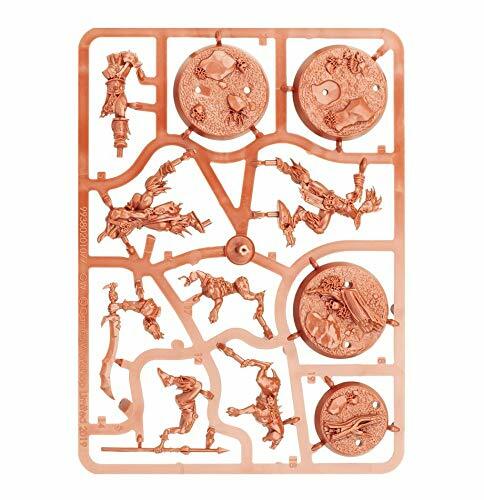 Inside this set, youll find 6 all-new push fit models, representing each of the Godsworn Hunt, plus Fighter cards to keep track of their rules. 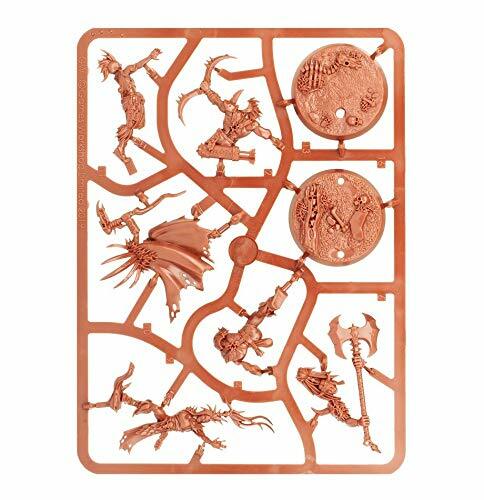 This set also features 60 unique cards only available in this set for building your Warhammer Underworlds decks. 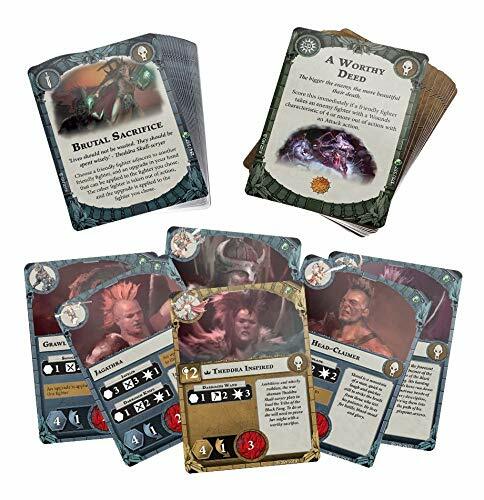 Harness the dark abilities of the Godsworn Hunt with a set of warband-specific objectives, upgrades, ploys and spells, or enhance any warband with 31 powerful universal cards that anyone can use.